The EAC team are now looking for farmers and entrepreneurs to be a part of the project and are offering from 500-1500 sqm in the first stage and up to 4-7 ha of farmland in the coming years. 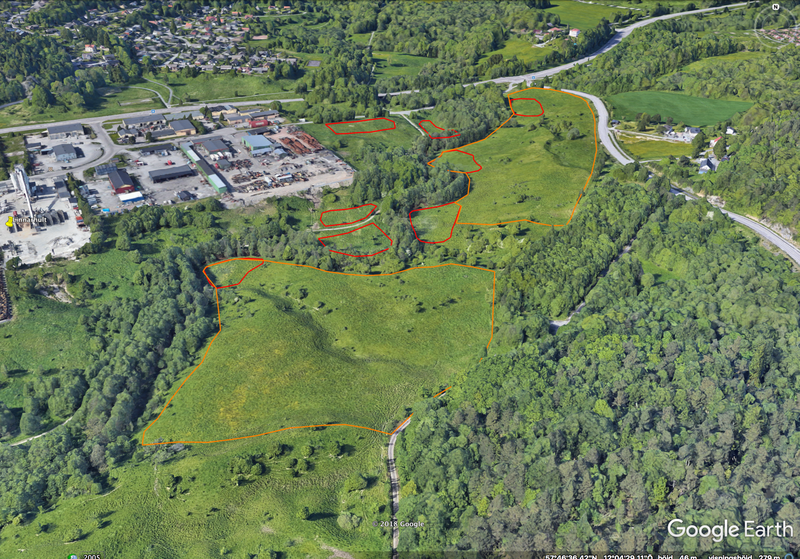 With its a 27 hectare area of land the area includes big fields, majestic hills and valleys, lovely forests patches and beautiful pathways along the Lärjeån river (which is part of a National and European hiking route). 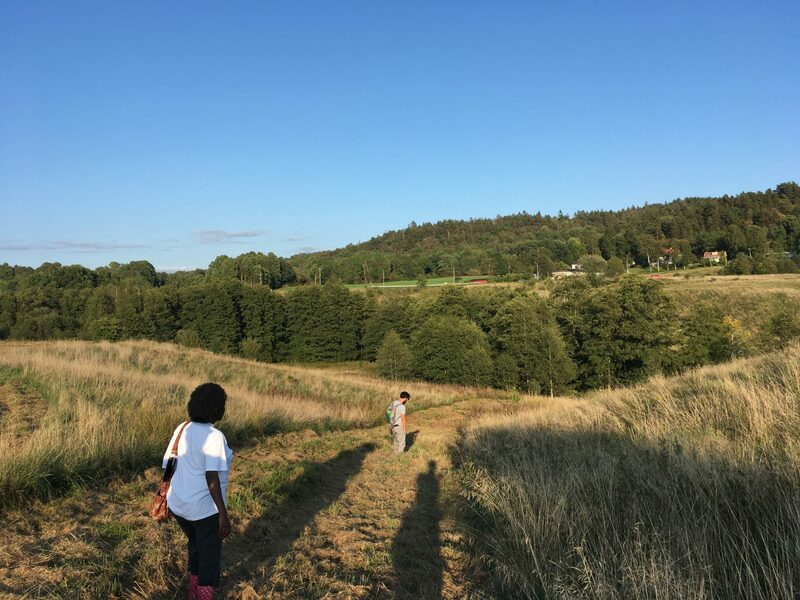 The land of the EcoAgroforestry re-creation Center is rented from the City of Gothenburg, by a group of non-profits who are creating an educational center for agroforestry and social integration. The most accessible part of the farm a potential area for market gardening of around 2000 sqm of growable land in the area closest to the bus stop, which is about 18 min bus ride from the city center. In this area marked as zone 1 in the picture below there will be possibilities to farm together with the EAC members in a shared greenhouse or put up your own greenhouse. The EAC will also grow in part of the area in the long term but happily offer a big part of around 1000-1500 sqm to one or several commercial farmers in a first stage. The plan is also to build a café here to sell the local produce or potted plants or nursery seedlings from the greenhouse to the public, as this area will be made accessible for many people to reach through public transport. The EAC is looking for commercial farmers with an educational or social focus that are happy to be part of their activities with local schools etc. Concept sketch of the area of total 27 ha of land. The area is situatied near the river banks between two big Suburban areas – Angered and Bergsjön. Further down towards the river and the hiking route there are another 3 potentials areas to farm of around 3000-4000 sqm in total, each one being aroung 1000-2000 sqm big that might suit other types of agriculture fruit tree orchards or animal keeping in small scale such as laying hens in egg mobiles or broilers in chicken mobiles. Also on the other side of the river there are also big areas of around 4-7 hectares of farmland suitable for both animal keeping and vegetable farming – but here the infrastructure and roads will first need to be established. 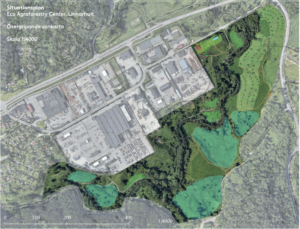 The group behind the EAC organisation renting the land is the non-profits “Planta Panta Tree International” and “Hope for Sustainable Forest” and they collaborate with TidsNätverket i Bergsjön, and many other actors. The EAC is also a part of the network of “Stadslandet Göteborg”, with the aim to bridge the gap between city and countryside, including many partners like the municipality, researchers and many local urban and rural farms and businesses. More information about rent will be given soon. Sign up your interest to get all information once released. Deadline for applying to this plot is 21 October – if you want to take part in the Ecosia-competition mentioned above. The infrastructure like greenhouse etc needs to be funded as a common effort, either through this competition or other funds.